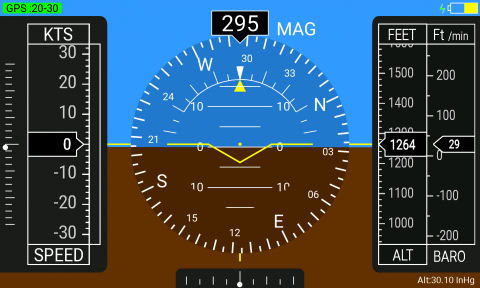 GlassEFIS is an application that simulates an aircraft glass cockpit by using your phone's sensors and GPS. GlassEFIS is designed to be a clean easy to read interface while providing the user with a rich experience. Available on Google Play.